Police have released images of two ‘violent’ suspects wanted in connection with the murder of a retired company director who was battered in his own home. 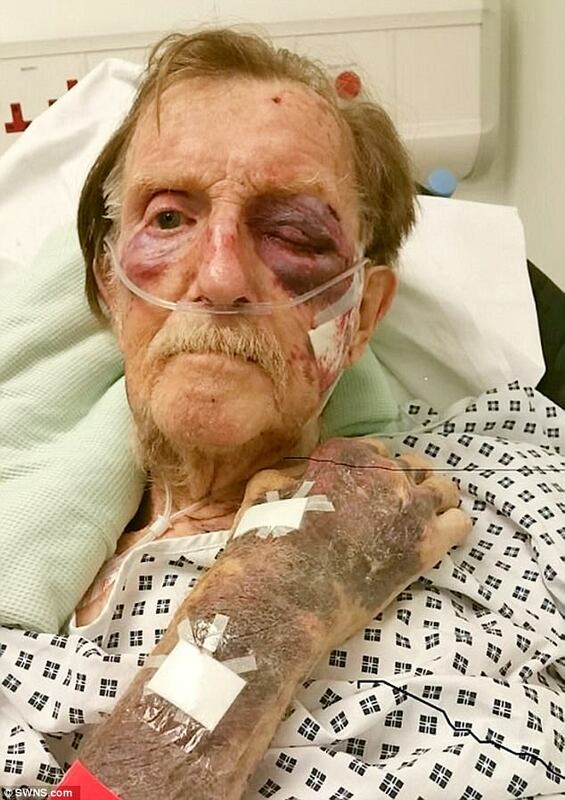 Arthur Gumbley, 87, died three weeks after thugs brutally attacked him when they stormed his £700,000 gated property on November 21. 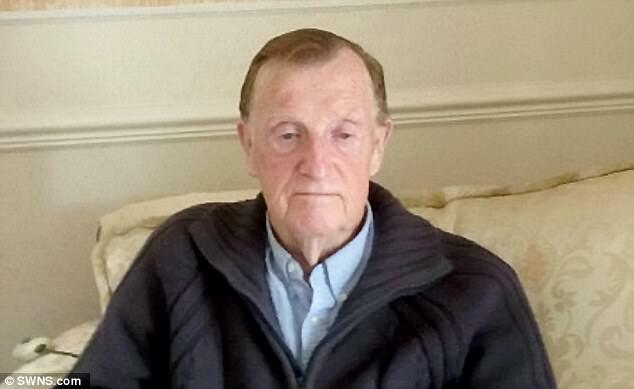 The pensioner, known as Bob, was found in a pool of blood after he was repeatedly kicked and punched at his house in leafy Sutton Coldfield, West Midlands. 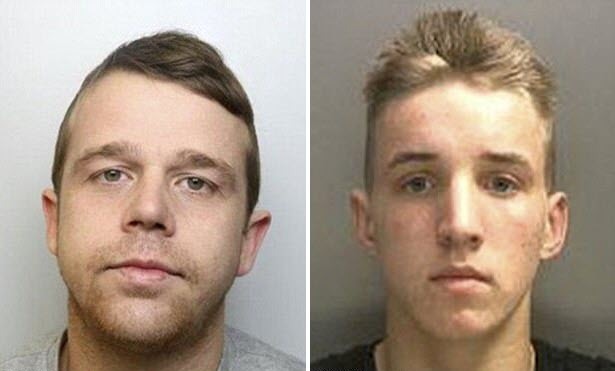 Jimmy Michael Connors, 28, and Tom Joseph Ward, 17, are wanted by police who wish to quiz them about their whereabouts on the day of the incident. The raiders fled with jewelry, cash and a purse belonging to Mr. Gumbley’s late wife during the robbery which happened between 6 pm and 9 pm. 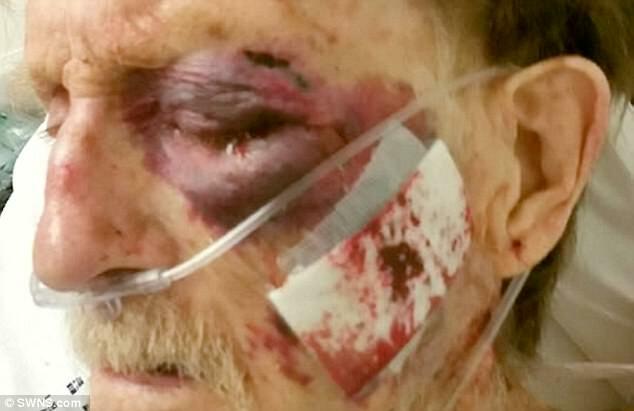 Staffordshire Police released shocking pictures of Mr. Gumbley’s injuries as he lay in his hospital bed in a bid to catch his attackers while he was still alive. On Friday the force released mugshots of a man and a teenager wanted in connection with the callous murder. Connors, who is part of the gypsy community, is described as 5ft 5ins, of average build, and with an Irish accent. Ward, who is said to reside occasionally in Stoke-on-Trent, Staffordshire, is described as 5ft 8ins, of average build, and with an Irish accent. Detective Inspector Dan Ison added: ‘Both men have links throughout the country and are known to frequent the London, Birmingham, Stoke-on-Trent, and Yorkshire areas. Speaking at a press conference after the attack, Mr. Gumbley’s daughter Sue said before he died: ‘It’s started to become real to him now, and he’s said he’s scared. ‘His question is, why did it happen to him? What did he do wrong? How do you tell somebody that? That he did nothing wrong? Mr. Gumbley ran a successful heating and plumbing supplies company before retiring. The charity Crimestoppers is also offering up to £10,000 in cash for information leading to the arrest and conviction of those responsible. Anyone with information is asked to call 101 quoting incident number 828 on November 21.